How Many Monarchs in a Single Photo? This spectacular photo was taken as thousands upon thousands of butterflies reached their winter home in Mexico. 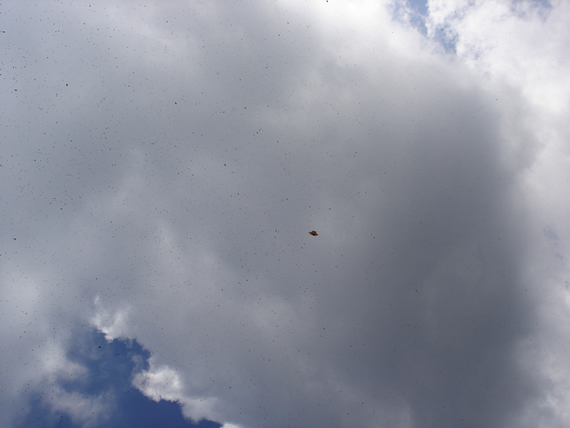 How many monarchs do you see in this single patch of sky?